To help you brush up on your Walt Disney World trivia and maybe even impress your friends and family while you wait in line this holiday season, here's 10 Christmas Trivia Tidbits. Ho Ho ho, did you know? 1. There are 1,300 decorated trees throughout the Walt Disney World property. 2. A wreath 25 feet in diameter adorns Cirque du Soleil at Downtown Disney. 4. 150 semi-trailer truckloads of decorations are used for 24 resorts, 4 theme parks, Downtown Disney and other locations. 5. 15 miles of garland is strung and 1,314 wreaths are hung throughout Disney World. 6. 300,000 yards of ribbon and bows are used to drape the Christmas trees. 7. 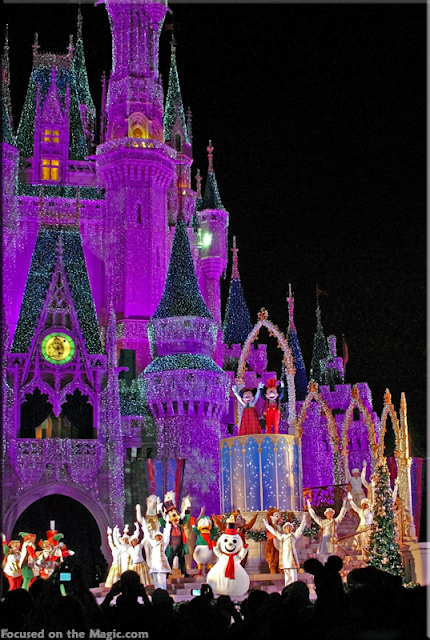 8.5 million lights are strung throughout Walt Disney World Resort. 8. 98 percent of the lighting used for the holiday decorations is LED, 2 percent is compact fluorescent. 9. There are more than 200 guest choirs performing during the entire run of Candlelight Processional. 10. There are more than 800 performers each night in the Candlelight Processional at Epcot. This bit of Christmas trivia was brought to us by The Disney Parks Blog. 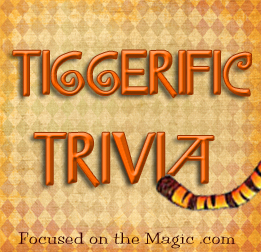 What fun Christmas trivia! Thanks for sharing. What I want to know is where Disney stores all those decorations when they're not in use and how they keep all those lights from getting tangled up! That's A LOT of decorations! And they're so beautiful! Thanks for linking up this week, Deb! It is amazing how they transform the parks for the holidays!